After 6 years of sailing from Galveston, Texas, Rhapsody repositioned on a worldly trip in the fall of 2007, traveling through the South Pacific to Australia where she remained for two months, before moving to Asia, operating cruises from Singapore, Hong Kong, Shanghai and Busan in South Korea. For the summer of 2008, Rhapsody operated out of Seattle, Washington, sailing to Alaska before repositioning back to Sydney, Australia for the winter of 2008/2009. 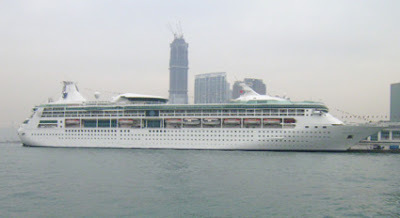 After returning to Seattle in the spring of 2009, Royal Caribbean has announced that the Rhapsody is to repeat her Australia/Alaska seasons at least through April 2011.